Joel Smith, is the Assistant Strength Coach of Olympic Sports at the University of California, Berkeley. His personal website at www.just-fly-sports.com. 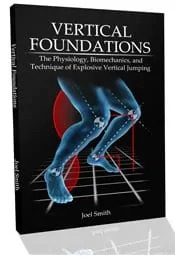 Joel also wrote the controversial article 3 Reasons the Squat is NOT the Cornerstone of Strength Training for Sprinters (a recommended read) and 3 Ways to Optimize Your Sprint Strength Program. To view all the articles by Joel Smith, click here. Last week, Joel interviewed me for his Blog. What are some of the primary differences in ways sprinters have been coached since you have been an athlete until now? What are some of the biggest things you feel we can learn from ways sprinters have been coached in the past? What are three staple workouts for a 100-200m sprinter? What are three staple workouts for a 200-400m sprinter? What are some critical areas of sprint technique and mechanics that you would typically have your eye on when assessing a sprinter? Believe it or not, when I trained with Dennis Barrett at McGill University from 1984-1993, the ONLY method I was aware of was the long to short. 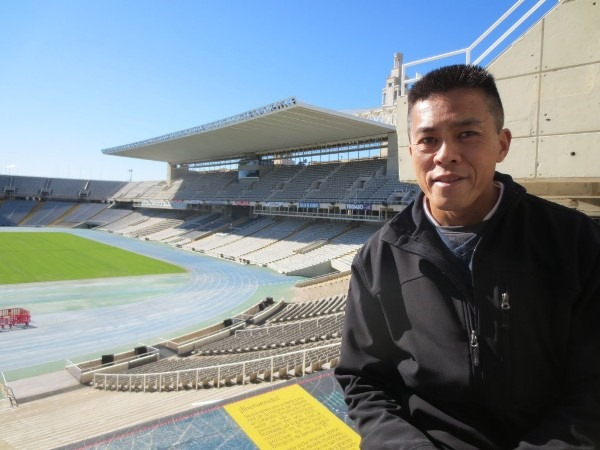 Dennis had success when he was an athlete in the USA on a scholarship when he was competing, so he used his knowledge from the late 1970’s to his athletes from 1984 onwards. Even our rival school, Sherbrooke University, was doing long to short under the guidance of Richard Crevier, and he had success with his sprinters. It wasn’t until I moved out west (Vancouver, Canada) after I retired from open T&F where I met Mike Murray, the coach of Peter Ogilvie and Canada’s 4×100 relay coach at the time (92 & 96). That was my first time hearing about short to long. Then I attended a Charlie Francis seminar in 2002 and he re-enforced short to long as well. 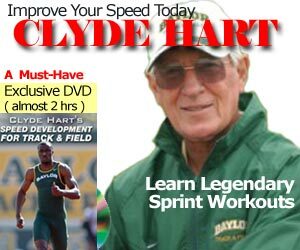 Finally, when I started my Blog in 2007, I started researching more about training, and discovered Clyde Hart using long to short, or “very long” to short. At then end of the day, it really comes down to individualization. I feel if you get a 20.80 200m kid out of high school, as long as you don’t get him injured, ANY kind of training will get him to run 46-47 point. You just have to tailor it to get him down to 45 or 44. >> Click here for the rest of the interview and my answers!